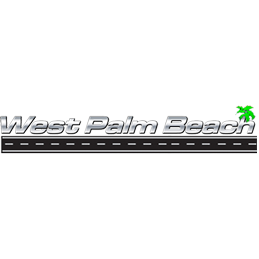 If you&apos;re from the greater West Palm Beach, FL area and you&apos;re in the market for your next Kia vehicle, do your car shopping here at West Palm Beach Kia. Our Specialties: 10 years or 100,000 miles KIA warranty. Great customer service is seldom seen anymore, so when I get it, and I have received each and every time from this dealer, I wanted to take the time to acknowledge it. It was actually a pleasant experience. I hate buying cars, but they made it pain free. I didn't quality for the car that I wanted, but he was nice enough to give an alternative. I liked that. The sales guy we had, Mitch, was wonderful. It was perfect! Everything was perfect. They couldn't have done better! Our salesperson was really helpful. The people were very helpful, cooperative, pleasant and quick. It was a very good experience. I got a great deal! I had the best car buying experience ever! The staff was so nice. It was just perfect. The entire experience was good! The delivery was fine and they treat their customers very friendly. Easy process! I went in and got my car. They were all great! They are really friendly. My experience was great. It was probably the easiest time that I have ever had buying a car. The guy was really nice! The process was fast considering it can sometimes be really slow. Everything was overall good! I was at a dealer before I came to West Palm Beach and I left unhappy so I came here and everyone was great! The process was so efficient!